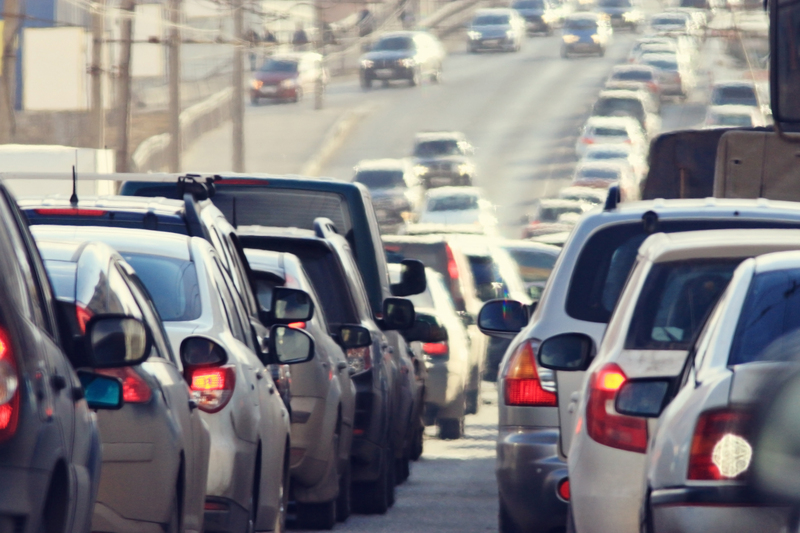 Driverless cars & Traffic Jams | Will They Make Traffic Better or Worse? If you own or drive a car, you will be very familiar, if not over-familiar, with an inevitable frustration of driving on modern roads: traffic jams. But, with the arrival of autonomous cars, will traffic jams be consigned to history? Autonomous cars are the future of travel. And, as they are rolled out over the next few decades, they will not only transform the way we travel; they will seriously reduce the amount of time we spend stuck in traffic. Traffic is a deeply complex system comprised of a variety of different inputs. We have cars, trucks, buses, motorcyclists, cyclists, and pedestrians all headed in their own particular destinations. The fact that any of us ever get anywhere we actually want to go can often seem like a minor mystery or an epic feat. On those occasions, all cars, trucks, buses and motorcyclists interact in a free-flowing way. At other times something goes horribly wrong in the setup, and we all grind to a shuddering halt. But, did you know there is actually a very simple reason for most of the traffic jams that we encounter on a daily basis? And, it’s probably a deeply inconvenient truth. It’s all our fault! We, the drivers, are the reason we all face traffic jams on such a regular basis. It all comes down to driver behavior in general, and our reactions to what is in front of us in particular. When we are stuck at a set of lights, most of us do not react to the lights themselves, we react to the vehicle in front of us instead. In a long line of vehicles, if we are all reacting differently, and specifically to the specific vehicle in front of us, this poses a huge problem. That problem is this: None of us maintain a constant speed. If we were able to maintain speed at a constant level, we would face far fewer traffic jams in our lives. Heralded as the future of mobility, autonomous cars provide the solution to this problem in a powerful way. Why? Because they take human decisions out of the equation entirely. Why is this good? Because, human behavior in the front seat is often unpredictable, and even irrational. Often, we become purely reactionary beings and random decisions become a lot more probable. Autonomous cars take away our basic human errors. Not only will they drive within speed limits, they will have much faster reaction times. This will allow autonomous cars to drive closer together than we could if we are the ones making the decisions behind the wheel. On a tactical level, autonomous cars will also be of huge assistance because they will take emotion and mood out of the decision-making process in driving. Autonomous cars will choose the optimum route quickly. They’ll communicate with other cars and quickly adapt driving based on what is in front of them. Not only will autonomous cars be able to account for obstacles and traffic density, they will generally behave in a more logical, rational way than we do. With autonomous cars, randomness and uncertainty are removed from the roads. These cars can make precise calculations about stopping and starting, maintaining speed and switching lanes in a far more efficient way than we can. As a result, they will help with traffic flow enormously. Vehicle-to-Vehicle (V2V), Infrastructure-to-Vehicle and Vehicle-to-Infrastructure communication technology along with driver-less technology will reduce delays at intersections and could end the need for signals at all. With the arrival of autonomous cars, the future is here. Want to learn more? Check out Dataspeed’s ADAS Kit, which enables the autonomous ecosystem to develop autonomous cars and save time in development. What do you think autonomous cars will do to improve driving? Let us know in the comments section!